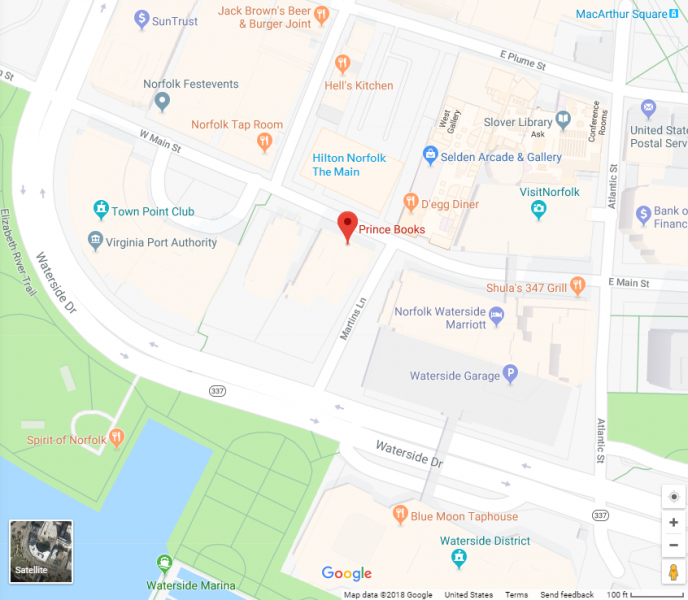 Prince Books, open since 1982 in downtown Norfolk, is located on the corner of Main Street and Martin's Lane in the Towne Bank Building one block from Town Point Park and the Elizabeth River, conveniently situated between Waterside and Nauticus. We offer an intelligent selection of fiction in hardcover and paperback, sections on poetry, history, biography, boating, travel, and a complete children's section. You may also enjoy perusing our books on home design, cookbooks and spirituality. Current events is one of our strengths!